We know what it means to advance. For over 100 years, we've been solving complex challenges, discovering new applications for our products, and creating innovative solutions. We are honored by the awards and recognition our people, processes and solutions have received. Our facilities around the world have earned numerous awards for their commitment to excellence in safety, health and environmental affairs as well as for outstanding innovation and customer service. 2018 Best Corporate Citizens — Cabot Corporation, given by Corporate Responsibility (CR) Magazine. Gold Level Recognition — Cabot Corporation, given by EcoVadis. 2018 Responsible Care Excellence Award — Cabot Chemical, given by the British Standards Institution (BSI). Magnolia Service Award — Jeff Zhu, president of the Asia Pacific Region, given by the Shanghai Municipality. Top 10 TEDA Enterprises in Environment Protection — Cabot Chemical, given by Tianjin Economic-Technological Development Area. Advanced Individual in Environment Protection — Ding Fei, chemical operator, given by Tianjin Economic-Technological Development Area. Best Supporter and Contributor for University-Business Cooperation — Cabot Chemical, granted by the Management School of Fudan University. Green Industry Award — Cilegon, Indonesia, given by the Ministry of Industry. 2017 Most Responsible Companies in the Materials Industry Sector — Cabot Corporation, given by Corporate Responsibility (CR) Magazine. 2017 Zero Accident Award — Cilegon, Indonesia, given by the Ministry of Manpower of the Republic of Indonesia. Ď Award — Valmez, Czech Republic, given by the Czech Ministry of Culture. Hall of Fame Award — Godfrey Lowell Cabot, given by the Tire Industry Association. Supplier Award — Cabot Corporation, given by Pirelli. 2017 Best Carbon Black Supplier — São Paulo, Brazil, given by Paint & Pintura. 2017 Product Innovation Top Rubber Award — São Paulo, give by Revista Borracha Atual. Outstanding Pioneer in Safety Production — Tianjin, China, given by the Tianjin Economic-Technological Development Area (TEDA). 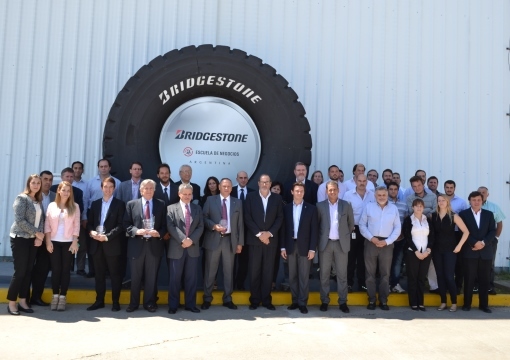 Best Supplier of the Year — Campana, Argentina, given by Bridgestone Firestone. Excellent Supplier Award— Cabot China Ltd., given by Kingfa Scientific Technological Co., Ltd. Annual Green Operation Award — Shanghai, China, given by the 2016 Corporate Social Responsibility and Innovation Shanghai Summit. John T. Ryan Regional Safety Trophy — Tantalum Mining Corporation of Canada Ltd., given for the metal mine category for the Prairie Provinces and Territories. Core Strategic Supplier — Cabot Corporation, given by Linglong Tire. 12 FYP Model Enterprise in Environment Protection — Shanghai, China, given by the China Petroleum and Chemical Industry. Outstanding Enterprises for Tax Contributions — Xingtai, China, given by the Party Committee of Xingtai County and the government of Xingtai County. Top Ten Credible Production Enterprises — Cabot Corporation, awarded at the 2016 Ninth China Coal Market Seminar. Harmonious Labor Relation Enterprise Award — Tianjin, China, given by the Tianjin Economic-Technological Development Area (TEDA). Advanced Enterprise of Safety Production Management — Jiangxi, China, given by the People’s Government of Jiujiang City. Advanced Technical Enterprise with Foreign Investment in Shanghai — Shanghai, China, given by the Shanghai Municipal Commission of Commerce. Advanced Enterprise for Donating to Schools — Xingtai, China, given by the Xingtai County Party Committee and Xingtai County Government. Best Carbon Black Supplier — São Paulo, Brazil, given by Paint & Pintura. Top Supplier — Cabot Corporation, given by Kraiburg. Clean and Green Advanced Technology Award — Shanghai, China, given by the Shanghai Resource Comprehensive Utilization Association and Shanghai Economic and Information Technology Commission. Best Enterprises with Social Responsibility in Shanghai Minhang District — Shanghai, China, given by the government of the Shanghai Minhang District. Gold Seal — Cabot Brasil Industria e Comercio Ltda., given by the Mutual Assistance Plan (PAM) Capuava. Henniges Automotive Supplier Award — Shanghai, China, given by Henniges Automotive. 2016 Zero Accident Award — Cilegon, Indonesia, given by the Ministry of Manpower of the Republic of Indonesia. Advanced Enterprise of Safety Production — Tianjin, China, given by the Tianjin Economic-Technological Development Area (TEDA). Best 2015 Carbon Black Supplier — São Paolo, Brazil, given by Paint & Pintura. Best Customer Safety Award — Cilegon, Indonesia, given by the Indonesia National Gas Company. Best Model of Social Responsibility — Cabot China Ltd. awarded at the 2nd International Rubber Industry Expo in China. Best Practice Award — Boston, Massachusetts, USA, given by the New England Employee Benefits Council. Best Quality Supplier — Cabot China Ltd., given by Kingfa Scientific Technological Co., Ltd.
Ecological Design Award of Shanghai Green Supply Chain Program Outstanding Projects — Shanghai, China, given by the China-ASEAN Environmental Cooperation Center, Shanghai Municipal Environmental Protection Bureau and Shanghai Municipal Commission of Commerce. Leader Award — Boston, Massachusetts, USA, given by the Massachusetts Excellence in Commuter Options (ECO) Awards. Leaders in Philanthropy Award — Ville Platte, Louisiana, USA, given by the Community Foundation of Acadiana. Michelin Supplier Award for Innovation — Cabot Corporation, given by the Michelin Group. PROPER Blue Recognition — Cilegon, Indonesia, given by the Ministry of Environment. Responsible Care Leader — Cartagena, Colombia, given by Responsabilidad Integral. Responsible Care Merit Award — Cabot China Ltd., given by the Association of International Chemical Manufacturers (AICM). Supplier of the Year — Campana, Argentina, given by Bridgestone Firestone. Top Rubber Award as The Best Carbon Black Supplier — São Paolo, Brazil, given by Revista Borracha Atual. 5A-Class Supplier — Hefei, China, given by Giti Tire. Best 2014 Carbon Black Supplier — São Paulo, Brazil, given by Paint & Pintura. Best New Workplace — Riga, Latvia, given by the Latvian Ministry of Economics. Enterprise Contribution Award — Jiangxi, China, given by the Yongxiu County Party committee and Yongxiu County People’s Government. Environmental Credit System Evaluation — Cabot Chemical Co., Ltd., and Cabot High-Performance Materials Co., Ltd., (Tianjin), given by the Environmental Protection Bureau of Tianjin Economic-Technological Development Area (TEDA). Good Corporate Citizen Recognition — São Paulo, Brazil, given by the American Society of São Paulo (AmSoc). Harmonious Labor Relations Enterprise — Cabot Bluestar Chemical Co., Ltd., (Jiangxi), given by the Jiujiang city Human Resources and Social Security Bureau and the Jiujiang City General Work Union. Illinois Governor’s Sustainability Award (Honorable Mention) — Tuscola, USA. J.T. Ryan Safety Award — Tantalum Mining Corp of Canada Ltd. (Tanco), Lac du Bonnet, Canada. LCA SAFE Award Class 1 Finalist — Ville Platte, Louisiana, USA. Leader in the Law — Brian Berube, Cabot senior vice president, general counsel, given by Massachusetts Lawyers Weekly. National Safety World Class Organization — Cartagena, Colombia, given by ARL SURA. PAM-NUDEC Capuva Silver Trophy Award (PAM- Mutual Auxiliary Plan) — Maua, Brazil. “Rank A” Supplier — Jakarta, Indonesia, given by PT Bridgestone Indonesia (BSIN). Responsible Care® 14001 Certification and the "Certificate of Excellence" — Haverhill, Massachusetts, USA, given by the American Chemistry Council. Responsible Care® "Certificate of Excellence" — Midland, Michigan and Pryor, Oklahoma, USA, given by the American Chemistry Council. Responsible Care Gold Award — Cilegon, Indonesia. Responsible Care Gold Award — Merak, Indonesia. Safety Excellence Enterprise — Cabot Chemical (Tianjin) Co., Ltd., Tianjin, given by the Administration of Work Safety of TEDA. Social Contribution Award — Cabot (China) Ltd., Corporate Citizen Model for the China Petroleum and Chemical Industry, given by the China Petroleum and Chemical Industry Federation (CPCIF) and China Chemical Industry News. Winner — Sustainability Category in the Top Rubber Awards — São Paulo, Brazil, given by the Revista Borracha Atual. Xingtai City Civilization Unit — Xingtai, China, given by the CPC Xingtai Municipal Committee and Xingtai Municipal Government. Best Chemical Supplier — São Paulo, Brazil, given by Gates South America. Best Overall Innovation and the Innovation with Best Environmental Benefit — given to Cabot Aerogel by ICIS Innovation Awards. Best Social Responsibility Company — Cartagena, Colombia, for work with the Mamonal Foundation. Corptax Tax Transformers Special Recognition Winner – Boston, Massachusetts, USA. Energy Efficiency Frontrunner List — Cabot Chemical Co. Ltd., (Tianjin), given by the CPCIF. Excellence Award — Cartagena, Colombia, presented by SURA ARL, a professional risk manage-ment company, for world-class SH&E risk management. Gold Award — Cilegon, Indonesia, given by Komite Nasional Responsible Care Indonesia. Jiujiang City Enterprise Contribution Award — Jiangxi, China, presented by the Jiujiang Municipal Party Committee and Jiujiang Municipal People's Government. Outstanding Supplier — Cabot China Ltd., given by Giti Tyre. Recognition for the 40th Anniversary of the Interindustrial Committee on Environmental Conservation Zárate-Campana (CICACZ) — Campana, Argentina. Responsible Care® 14001 Recognition — Midland, Michigan and Haverhill, Massachusetts, USA, given by the American Chemistry Council. Responsible CEO of the Year — given to former Cabot president and chief executive officer, Patrick Prevost, by Corporate Responsibility (CR) Magazine. Top Rubber Awards for “Best Reinforcement Filler Supplier” — São Paulo, Brazil, given by Revista Borracha Atual. Top 10 Taxpayers in Wujing Town — Shanghai, China. Women to Watch — presented to Wendy Pryce Lewis, vice president, regional business director of the Americas, Performance Chemicals, by Mass High Tech (MHT). Yongxiu County Enterprise Contribution Award — Jiangxi, China, presented by the Yongxiu County Party Committee and Yongxiu County People's Government.